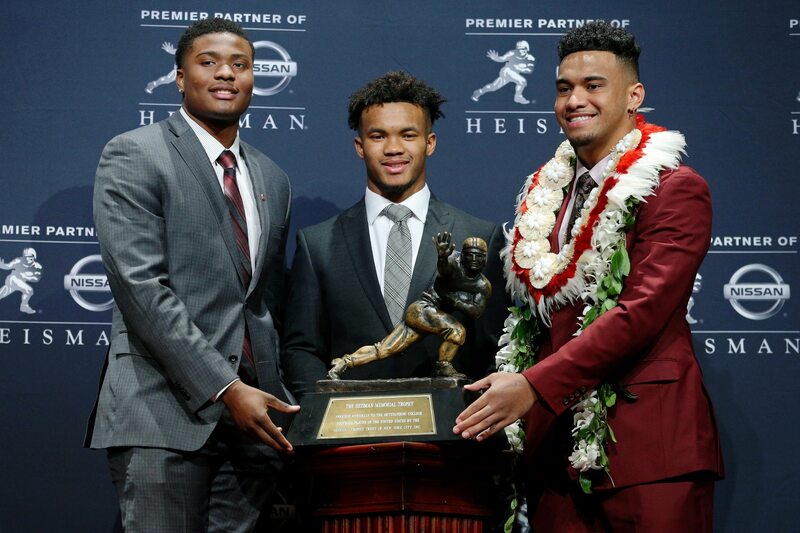 Oklahoma Sooners product Kyler Murray is one of the most talked about prospects heading into the 2019 NFL Draft. Unquestionably talented, it’s his height that has everyone wondering if he can succeed at the NFL level. Murray’s college strength and conditioning coach recently divulged that the quarterback was measured at just under 5-foot-10 at Oklahoma. For comparison’s sake, Russell Wilson is 5-foot-11 and Drew Brees is an even 6-foot. There’s no question Murray can play. He’s got a Heisman Trophy to prove that point, and his performance in the second half of the playoff semifinal against Alabama put to rest any notion he can’t ball out against NFL-level competition. Given the natural way Murray throws such a beautiful ball — so effortless, and with precision to all spots on the field — and given his athleticism, it’ll be shocking if he’s not a first-round pick in April. And given what Raiders GM Mike Mayock said recently about Derek Carr, one wonders if Gruden might be thinking about making a splash with one of his three first-round picks.